While I did not get a chance to break down my preseason predictions for the Tigers this year, most baseball writers and fans are aware of the rebuilding process happening in Detroit. As as result, the expectations for the Tigers in 2019 are considerably low. That is probably what makes the first week of their season so exciting. They end their first seven games with a 4-3 record, splitting their series in Toronto and getting the better end of a three game series against the Yankees in the Bronx. As the Tigers head to Detroit for the home opener, Tigers fans seem cautiously optimistic that the team might not struggle as bad as most predicted. In reality, the hitting has been rough. They’ve produced only eight runs in seven game, getting shut out twice in Toronto. Christin Stewart provided some extra inning excitement in the opening game, crushing a ball into the right field upper deck at the Rogers Center. Jeimer Candelario has led the team in hitting, producing five hits in six at-bats on Sunday in Toronto. After Wednesday’s game in New York, he has a .308 BA and .731 OPS. Castellanos continues to hold his own. Yet, in Tuesday’s game, the Tigers found an unlikely hero in Dustin Peterson. Peterson drove in a run in the 9th Inning off Aroldis Chapman. Jordy Mercer tacked on another. In Wednesday’s game, Gordon Beckham brought the late inning power to pull the Tigers through to a 2-1 victory. While the Tigers might not have hit their stride at the plate, the performances on the mound have surpassed expectations. In fact, you can even find three Tigers pitchers near the top of several MLB statistical categories. After 13.2 innings of work, Jordan Zimmerman has posted a 0.66 ERA and 0.59 WHIP. He’s looked incredible in his two performances, despite not yet securing a Win. 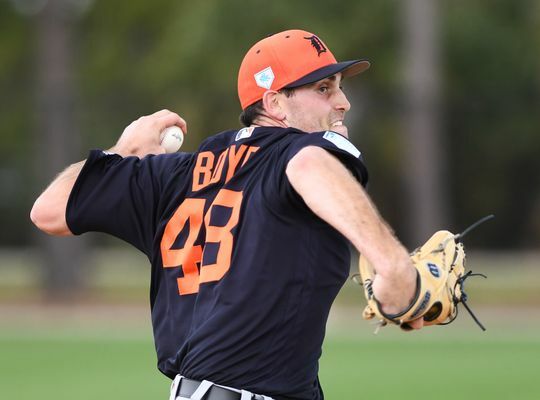 In only 11.1 innings on the mound, Matthew Boyd, has thrown a league leading 23 Strikeouts. Shane Greene is currently tied for the league lead in Saves (4) and has a perfect ERA in four innings of work. The Tigers head home with a winning record for Opening Day in Detroit on Thursday. Spencer Turnbull on the mound against the Royals. Sometimes, a lack of expectations gives a team all the motivation they need. It also gives fans hope that this season will be fun to watch. There are many months ahead, but Tigers fans should enjoy these small victories, whether they continue long or not. Next Story → What Is Wrong With Mets Ace Jacob deGrom?